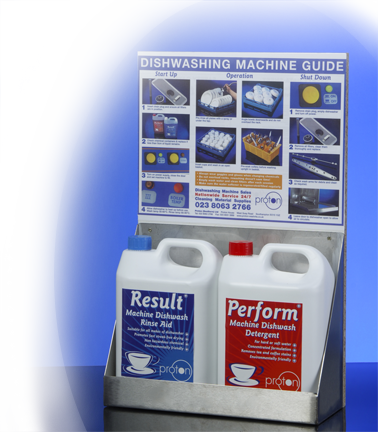 Achieving spotless results in your dishwasher or glasswasher depends upon a number of factors being correct. The right temperatures, good soft water, good cleaning practices and of course quality chemicals, dosed at the right concentrations. Our expertise in both dishwashing and glasswashing over the years has built us an enviable reputation and you can rely upon Proton to give you the results you demand.